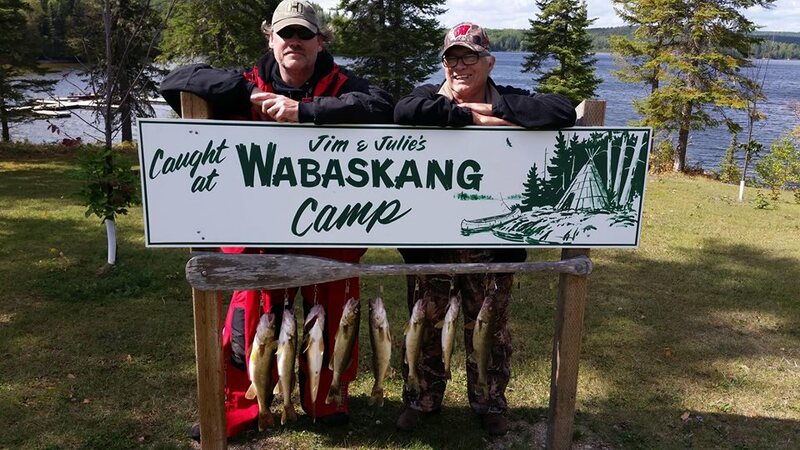 Welcome To Jim & Julie’s Wabaskang Camp! 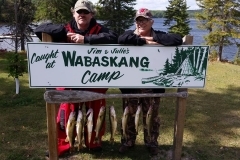 Jim & Julie s Wabaskang Camp is on beautiful Wabaskang Lake in Northwestern Ontario. 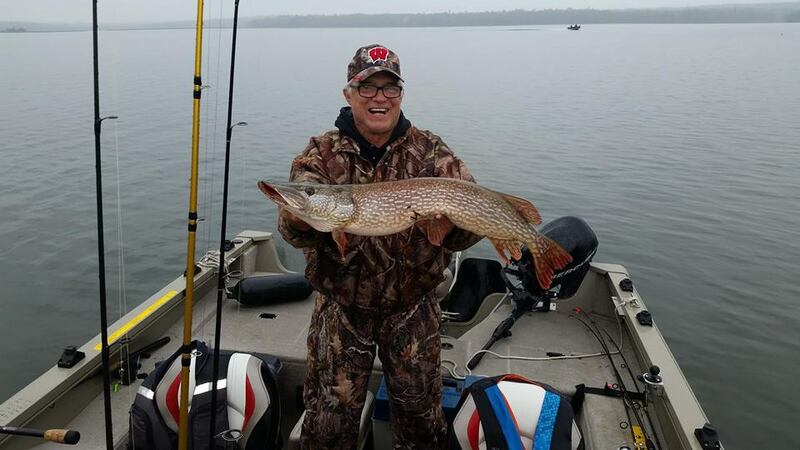 The lake boasts some of the best Walleye, Northern Pike, Smallmouth Bass and Perch fishing a fisherman can ask for. 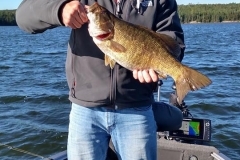 We are located just south of Perrault Falls, Ontario on Highway 105 approximately 180 miles north of International Falls, Minnesota. 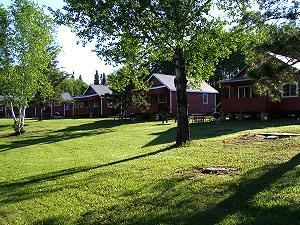 Guest can enjoy a comfortable stay in modern house keeping cabins. We take pride in our clean cabins and friendly atmosphere. We also have a nice camp ground with water and electric hookups, shower houses and a coin Laundromat for all our guests. During your stay you can take in some spectacular scenery, watch the wildlife and enjoy some of the best Sunsets in Northwestern, Ontario. You can clean you catch of the day in the Liars Den . There is a nice large table to clean your fish on, sinks with running water, bags to package your fillets and freezers to keep your fish, all on site. 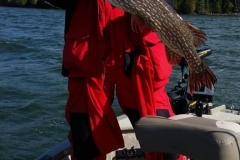 We are confident you will agree that it s one of the cleanest fish cleaning stations in Northwestern Ontario. 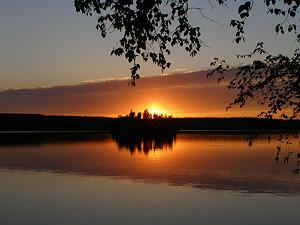 Wabaskang Lake is on the famous Red Lake Road. Internationally known for its variety of fishing, bear and moose hunting. A fine vacation area. Modern cabins, all spotlessly clean and completely equipped, will be ready for you on your arrival. 110 volt electric service, hot and cold running water, showers, and toilets, assure you of a comfortable modern living after a day on the lake. Many moose are taken each year on the Red Lake Road. We cannot guarantee you will bag your game but you may be sure that we’ll try very hard to see that you do. Game birds are numerous in their natural habitat and along the many cut-over woods trails throughout the area. 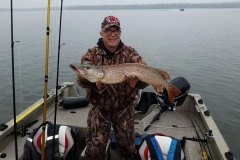 There is excellent all-season fishing for the many varieties of fish that abound in our clean fresh-water lakes. We’ll help by keeping up with the ever-changing fishing “holes” and try to see that you get your limits. Choose your fish or try for them all. 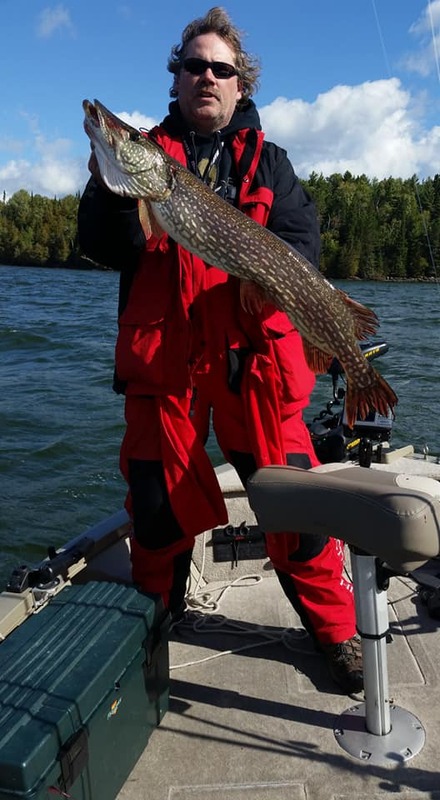 Northern pike, Walleyes, Smallmouth Bass, Lake Trout, Perch and Muskies. 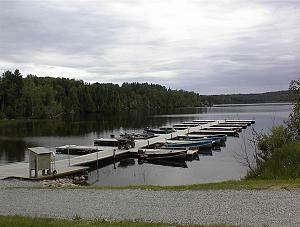 I started fishing at wabaskang camp at the age of seven. My father, brother and I made many trips together and nevermissed a season, sometimes making two or three trips a year. When the opportunity for me and my family to purchase the camp came along we were delighted. 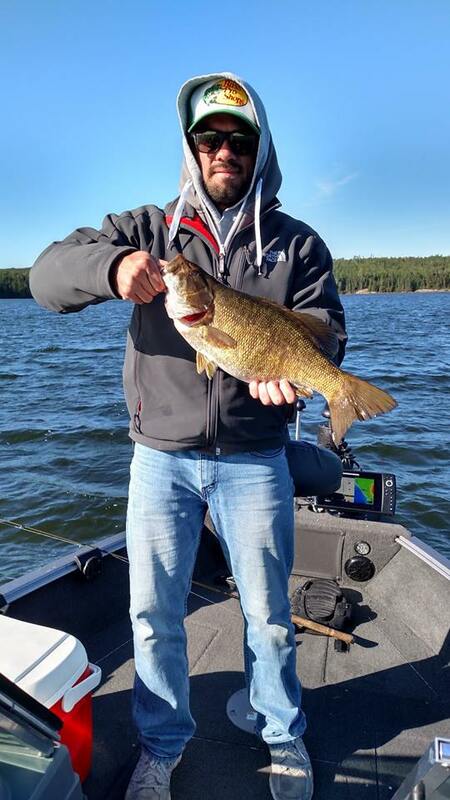 I know the lake well and can give guests tips on the best fishing techniques for the lake and its structures. My wife Julie, our daughter Annie and I come from Waverly, Iowa. I was a lineman for a rural cooperative for 20 years before purchasing the camp. Julie s family runs a business in Waverly that we return to every winter, during the off season. We have both had many years experience in customer service. We have great Midwestern values and feel that it s our job to make your vacation an enjoyable one. Many of our guests have come to Wabaskang Camp year after year and we feel they are just like family.